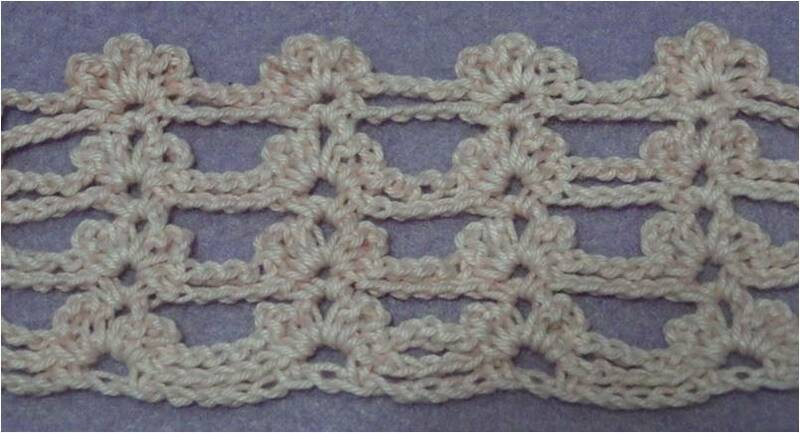 This is a sample of crochet stitch combination of chain and single crochet. As beginner's, we can learn crochet by using chain and single crochet in repetition. In this basic crochet stitches you can create as simple as a crochet headband or crochet shawl easily. 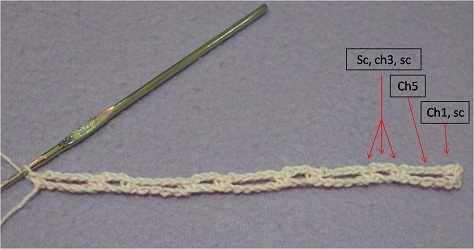 Here are the step-by-step photo tutorial for the Chain and Single Crochet combination stitch. Row 1: Sc in 2nd chain from hook, ch 5, skip 5ch, (sc in next ch, ch3, skip 1ch, sc in next ch, ch 5, skip 5ch) 4 times, end with sc in last ch. Row 2: Ch1, turn, sc in the same st, ch5, skip 5ch, (sc,ch3,sc,ch3,sc,ch3,sc in next 3ch space, ch5, skip 5ch sp) 4 times, end with sc n last sc. Row 3: Ch1, turn, sc in the same st, ch5, skip 5ch sp, (skip 1st 3ch sp, sc, ch3, sc in 2nd 3ch sp, skip 3rd 3ch sp, ch5, skip 5ch sp) 4 times, end with sc in last sc. 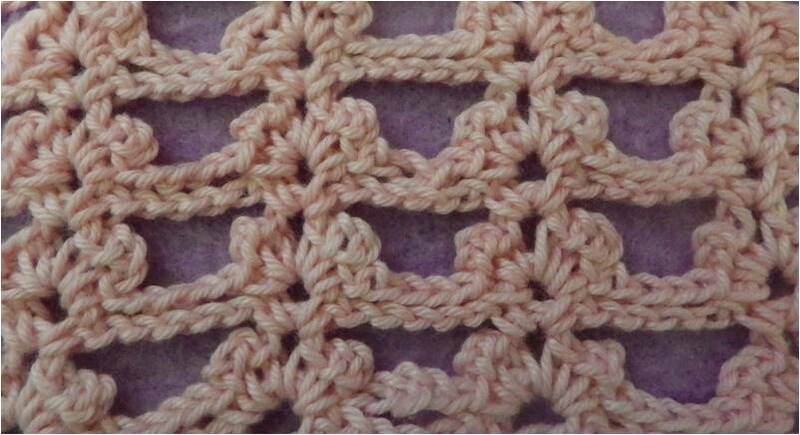 Crochet the repeated rows up to desired length.